To refract light, highlight the details that need to be clear. Comes with a zippered carrying bag for convenience. Due to the difference between different monitors, the Gold in the picture may not reflect the actual color of the item. 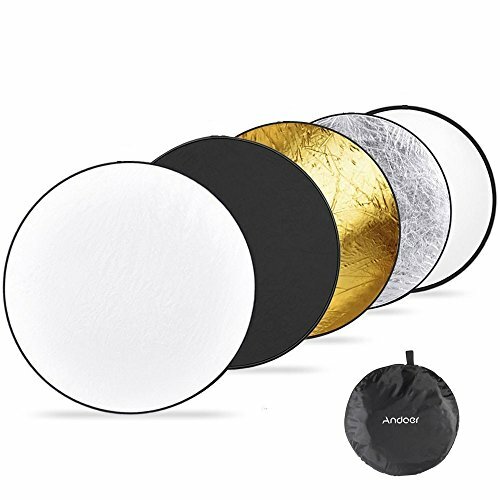 You will receive just one reflector, the reflector gather 5 surfaces with different color.